At the moment, Resist is under going historical editing. Last week I put it into the hands of one my editors, the director of a WWII museum. My sister and I dressed vintage for the occasion. 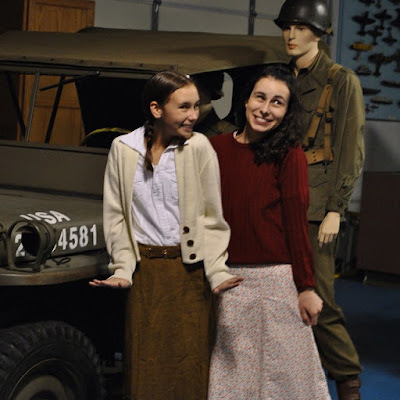 One simply does not step foot into a WWII museum without dressing vintage. 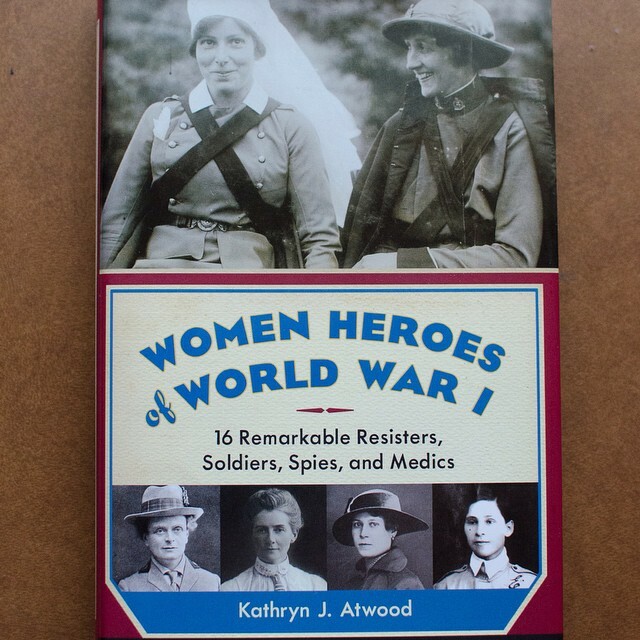 Also, I'm super excited because Kathryn J. Atwood, author of Women Heroes of World War II, Women Heroes of World War I, and Code Name Pauline has agreed to be an advance reader/reviewer for Resist! 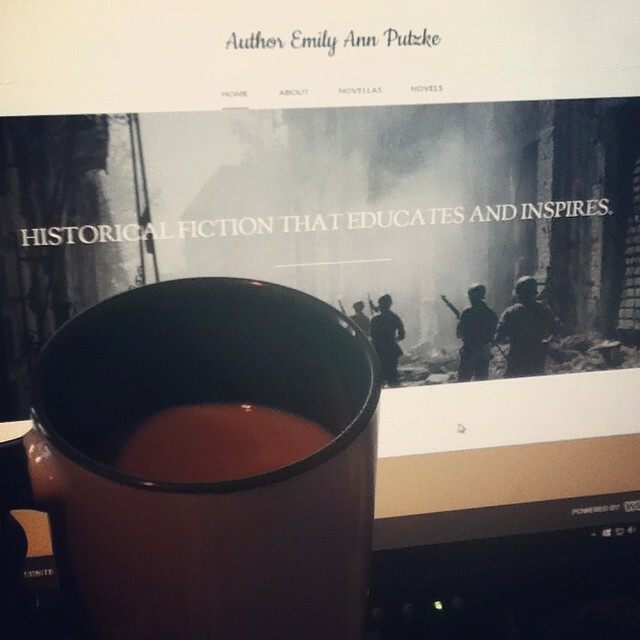 I thought it was about time to make an actual website for my books. I'm now ready to reveal the new site! Check out it out HERE. Resist is on Goodreads and I'd really appreciate it if you'd add it to your bookshelf! Cover art is absent, I know. It will be forthcoming. I'm blown away whenever I think about God's hand in this project. I could never have written it without Him. Never. I would have given up, closed the computer, said it was too hard. He placed this story on my heart to encourage and inspire others and I can't wait to see what He does with this story. I've been following your pinning for this novel on Pinterest -- and have been getting increasingly excited about it! :-) Looking forward to its release. Yes, how could you not wear vintage?!? Can't wait till Feb.22nd and lone your new website! Thank you, Eliza!! I can't wait! Congratulations, Emily! I can't wait to read Resist. 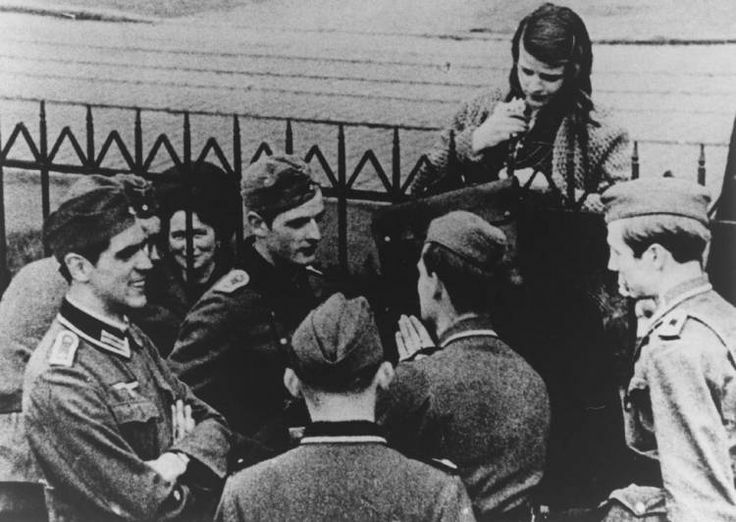 I've always found Hans and Sophie so inspiring. It sounds like you have an amazing line up of people to read Resist!